On the banks of the Beaulieu River, in the heart of the New Forest, you will find the unspoilt haven of Buckler’s Hard which remains untouched by the passage of time. The Duke proposed to build a free port named ‘Montagu Town’, which he intended as a hub for the import and export of sugar from the West Indies. Unfortunately his dream was dashed when the French captured the islands. Although the sugar port project was abandoned, Montagu Town was soon reborn as a shipbuilding village named Buckler’s Hard. With New Forest oak on its doorstep, it was ideally situated for such a task. The wide village street was filled with logs and planks and the cottages became home to tradesmen and labourers. Over 50 wooden ships were built for the Royal Navy, including the vessels Agamemnon, Euryalus and Swiftsure, all of which fought at the Battle of Trafalgar in 1805. The end of the Napoleonic wars, combined with the advent of iron ships, saw the decline of shipbuilding at Buckler’s Hard. Industries became concentrated in towns and cities and the population of Buckler’s Hard dipped as skilled workers moved away to find employment. By the late 19th century the development of the steam pleasure yacht had given new life to the hamlet and the Beaulieu River became a destination for day trippers. During the Second World War, Buckler’s Hard became a motor torpedo base and, further downstream, sections of the Mulberry harbours were constructed in the old oyster beds in preparation for the D-Day landings. In the post-war years, visitors quickly returned to the river and in 1963 the Buckler’s Hard Maritime Museum was opened in what had been the New Inn, ‘to serve as a memorial to those men of Buckler’s Hard who built men-of-war’. 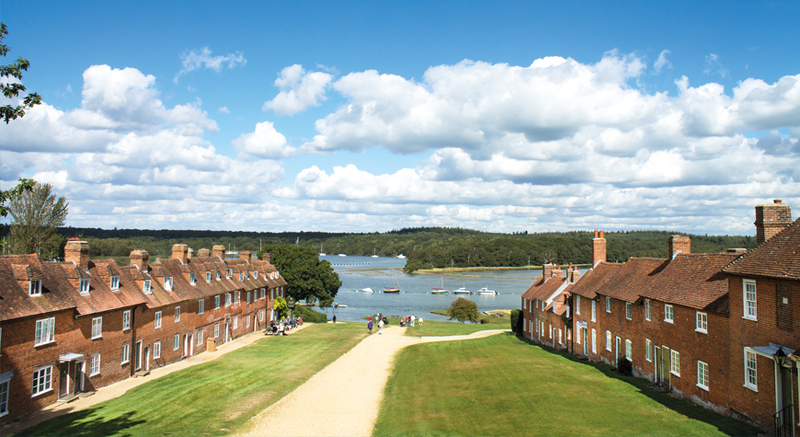 Today, Buckler’s Hard is still a ‘living’ village and many of the people who live and work here are engaged in recreation and tourism. Meanwhile, measures are taken to ensure that this remarkable village remains an area of natural beauty for future generations to enjoy. The Beaulieu River is one of the few privately owned river beds and estuaries in the world and the custodianship of the Montagu family over four centuries is what has kept it such a special place today. Lord Montagu’s rights derive from those granted to the monks of Beaulieu Abbey by King John in 1204 and the river now forms the south-eastern edge of the Beaulieu Estate. 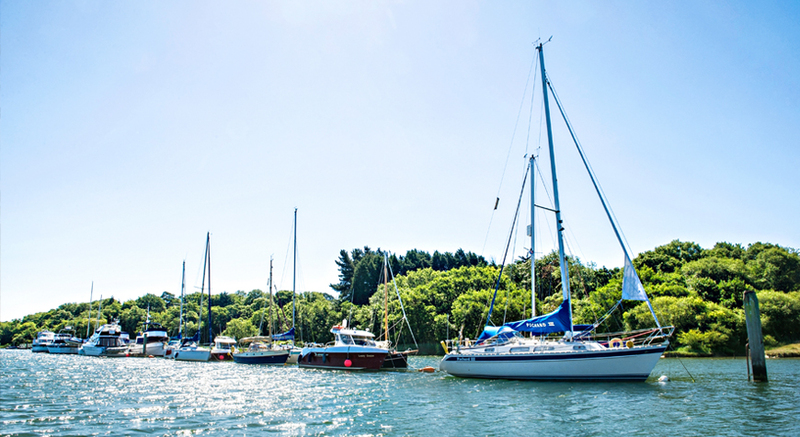 The Beaulieu River is now a picturesque and unspoilt yacht haven offering permanent and short term berths and moorings in its marina. Beaulieu Enterprises Ltd is also the operational custodian of our sister attraction Beaulieu, home of the renowned National Motor Museum.